BlackRock helps investors build better financial futures. As a fiduciary to our clients, we provide the investment and technology solutions they need when planning for their most important goals. As of September 30, 2018, the firm managed approximately $6.44 trillion in assets on behalf of investors worldwide. For additional information on BlackRock, please visit http://www.blackrock.com | Twitter: @blackrock | Blog: http://www.blackrockblog.com | LinkedIn: http://www.linkedin.com/company/blackrock. 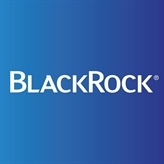 BlackRock is one of the world’s preeminent asset management firms and a premier provider of global investment management, risk management and advisory services to institutional, intermediary and individual investors around the world. BlackRock offers a range of solutions — from rigorous fundamental and quantitative active management approaches aimed at maximizing outperformance to highly efficient indexing strategies designed to gain broad exposure to the world’s capital markets. Our clients can access our investment solutions through a variety of product structures, including individual and institutional separate accounts, mutual funds and other pooled investment vehicles, and the industry-leading iShares® ETFs. The Aladdin® product unites the information, people, and technology needed to manage money in real time at every step in the investment process. Aladdin enables organizations to communicate better, work smarter, see clearer, and move faster in a changing landscape. Aladdin combines sophisticated risk analytics with comprehensive portfolio management, trading and operations tools on a single platform to power informed decision-making and create a connective tissue for thousands of users investing worldwide. Within the Aladdin Business we are laser focused on delivering a next level client experience at scale to users across the Aladdin community. We build tools that empower our users, modernize the client support experience and streamline the way we run our business. We are passionate about using technology to drive scale in our business and delivering a superior user experience. Product Team Engineers sit among our Product Marketing and Client Service teams, so they understand firsthand how our users leverage our tools, the questions they ask and the issues they face. They are responsible for translating that knowledge into impactful usability and functional enhancements, bug fixes big and small, and tools to scale support. Success in this role is measured by moving the needle on the level of input our users feel they have into the product lifecycle, their perception of our responsiveness to issues, and our team’s ability to support a growing user base. Project Team Engineers work on products that modernize the client support experience, enable our people to their jobs better, and give us the information we need to run our business. * Aladdin Metrics: Empower the business to leverage the usage and inquiry data available to drive more powerful engagements with our clients and to make smart decisions for our team. * Aladdin Business Portal: Deliver a centralized portal, that marries an individual’s to-do list with the workflows and context they need to do their job well. Partner with stakeholders to design a tool set that addresses key workflows for each team across our business. * Aladdin Help: Create a centralized in-app hub for training and support resources available in every app within Aladdin.